I just saw the above dramatic photo in today’s New York Times’ article on Nemo, which stoked my curiosity and prompted a brief inquiry into how our friends in Massachusetts manage their highly vulnerable coast. I can’t resist publishing my findings. The Massachusetts folks are far more enlightened than our Rebuild Madness (TM) Governor, who continues to mislead the public about engineered solutions to coastal hazards and to deny increasing climate change vulnerabilities. Are not permissible under local and state regulations. Cause erosion to beaches and dunes, leading to a loss of recreational and tourism resources and diminished storm damage protection. Aren’t permanent, in fact require costly maintenance to ensure that they continue to provide protection. Divert stormwater and waves onto other properties. Adversely affect other properties by starving beaches of needed sediment sources. Create a false sense of security. Disturb the land and disrupt natural water flows. Structural protection should only be considered as a last resort, knowing that it will be an ongoing expense and may increase overall damage to land, buildings, and other structures within the natural system. Whenever structural protection is pursued, hybrid technology (such as combinations of low-profile rock, cobble berms, and vegetative planting, or combinations of marsh plantings and coconut fiber rolls) should be considered as a means of reducing the negative impacts of the structure. So why does our Governor continue to mislead on this issue? How does he get away with this? Why is DEP Commissioner Martin so clueless? He has coastal experts on staff in DEP’s Office of Coastal Zone Management who can tell him this. Why does the NJ Press corps not report this science? But even as these towns clamor for sand, scientists are warning that rising seas will make maintaining artificial beaches prohibitively expensive or simply impossible. Even some advocates of artificial beach nourishment now urge new approaches to the issue, especially in New Jersey. The practice has long been controversial. Opponents of beach nourishment argue that undeveloped beaches deal well with storms. Their sands shift; barrier islands may even migrate toward the mainland. But the beach itself survives, because buildings and roads do not pin it down. 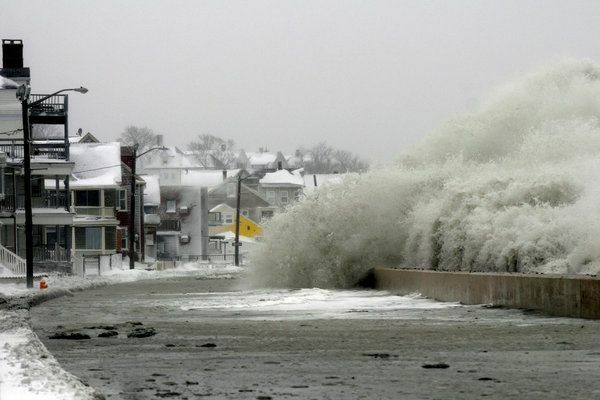 But as the climate warms, sea levels are rising and bad storms may come more frequently. And New Jersey is particularly vulnerable because of tectonic forces and changes in ocean currents. When the glaciers retreated about 15,000 years ago, land in the region bounced up; now it is sinking again. Meanwhile, ocean circulation patterns are changing in ways that push water up against the mid-Atlantic coast.